Yesterday, Apple confirmed that it had acquired music recognition app Shazam for a reported $400m (£300m), in the company’s largest acquisition since it bought Beats Electronics for $3bn in 2014. As one of the first mainstream mobile apps, Shazam is significant brand for Apple to pick up. 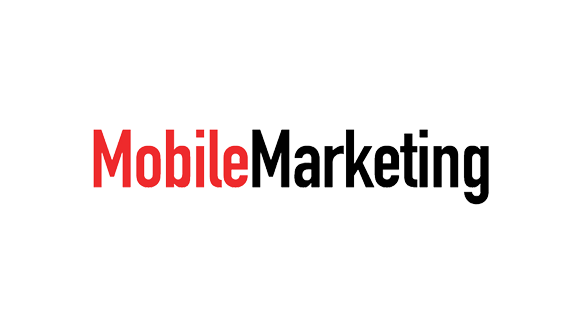 We reached out to mobile marketing experts for their thoughts on what the acquisition means for both companies, and the wider industry. “Consumers are spending more and more time engaging with the world at large via their mobile devices. The acquisition is beneficial to Apple not just because it provides them yet another path to purchase for consumers but, more significantly, it gives them access to enormous volumes of behavioural data. This data is the lifeblood of Apple’s business from the perspective of their own product development as well as guiding their own marketing and engagement strategies.” – Harry Dewhirst, president, Blis. “I think Apple’s acquisition of Shazam will not just help them in improving the Apple Music experience, it will also enable them to integrate the music discovery enging deep into Siri. Beyond music, Apple will also be able to integrate Shazam’s image recognition into its augmented reality platform play. In fact, Shazam combined with other services will help Apple consumers better sense the world aroudn them.” – Thomas Husson, vice president and principal analyst, marketing & strategy, Forrester. “The confirmation of Apple’s acquisition of Shazam should be celebrated. Whilst much is already being made about the potential valuation, high level of investment and exit earnings multiplier, we should not forget this is British-born software with a truly global brand presence. “There are many ways Apple could consider integrating the Shazam technology into its existing products and services, however I believe it’s the data within the platform that is most appealing. With over 500m daily Shazams, they have high levels of insight into mobile engagement and a large, active, opt-in set of users, something that’s going to be essential in the GDPR world of 2018 and beyond. Apple also recognises that it’s no longer enough to simply have ‘big data’ but that it’s vital to have the proprietary software to make sense of that data, in order to put you in the strongest possible position.” – Gary Danks, managing director, Machine. “This is another serious statement of intent from Apple. It will embolden the company in their pursuit to be the leaders in the music streaming business. As an artist management company, it will be interesting to see the level of data and insights that Apple could make available to artists, managers and record labels.” – Stephen O’Reilly, head of marketing, ie:music. “Shazam was always a fun app with a clear purpose – identifying the unknown. Their initial monetisation strategy, creating affiliate links to purchase tagged songs, was obvious, if somewhat limited. Where they became really interesting to brands was when consumers could start Shazamming TV ads. “Whilst there is evident friction in this user journey, they were one of the first brands to use the innate characteristics of mobile to drive cross-screen engagement, linking an experience on TV to a mobile device. Creating deeper engagement with consumers who chose to lean into the ad experience will inevitably improve brand recall and create lift in other effectiveness metrics. It will be interesting to see how Apple capitalise on this opportunity.” – Alistair Hill, CEO, On Device Research. “As someone who has spent half my career in mobile and half in the music industry, Shazam has always held a special place in my heart. Andrew Fischer, Miles Lewis and the senior team at Shazam should be congratulated for all they have achieved. They have remained tireless evangelists and supporters of the mobile industry, way before every business claimed to be mobile first. “With Apple HomePod lagging behind both Amazon Alexa and Google Home in the living room, and Apple CarPlay a three-year-old service that is yet to take off, I look forward to seeing how Apple integrates the Shazam tech to accelerate its voice services. I just hope the app also remains a stand-alone product. Otherwise, what will I use to settle music debates after a few beers?” – Stephen Jenkins, founder & MD, Too Many Dreams.